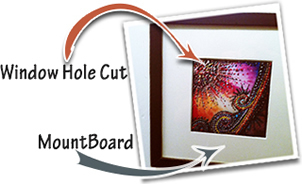 The Lil' Picture Place can frame-up and mount any particular piece of work whether it be a painting, photo or even create deep-set box frames for 3D object displays. The picture frames are cut from whats known as lengnths of 'Moulding'. - There are many different types of colours, texturtes and style of Moulding to choose from. We have a great selection of sample pieces that one can hold and see for themselves. With this vast array of variations, one can become boggled when it comes to choosing your moulding but the Lil' Picture Place has specifically chosen a number of types of more popular and classic, moulding that we have ready to cut. There's traditional and contempory mouldings to suit. framing done for their given piece or pieces. Within the Manchester area. the greatest of care, protected and safely sealed whilst in transit! Mount-board comes in all different shades, textures and thickness and can provide a visual difference in really making your image stand out and look simply grand! There are numerous combinations and types of cuts that can be achieved with different thickness, textures and colour-combos of not only the surface of the card but also the inner 'core'. Many styles and colours to match your requirements whether it be minimal singular 'window', multiple window holes or more elaborate shape-cut sections, even lettering shaped cut mounts. Guidance and good assistance in choosing your mount is always available. Three levels of Framing Standards Provided. 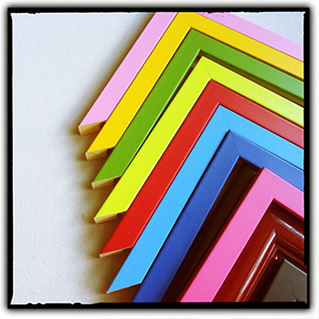 There are actually five levels of Framing Standards as determined by the Fine Art Trade Guild. We have however whittled them down to three. As to simplify the options but not compromise the final result. Having knowledge of the five standards alone indicates the awareness of the framer of whom can apply the craftsmanship and skills needed to meet those standards and to subsequently use those determined values to provide correctly framed artwork for any given frame request. Our three levels of Framing standards are described below. 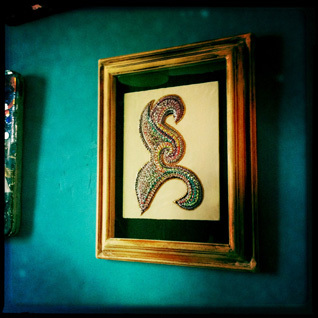 Top grade framing that meets Art Trade Guild Standards. Visually enhances focal work. Full protection from microscopic airborne particles and safeguard from acids generated by framing materials. Up to 35+ years protection ensured. Visually enhances photograph or artwork and provides a high level of protection from physical and mechanical damage. Up to 20+ years preservation under normal conditions. Providing an acceptable frame for the minimum cost. Offers some degree of protection but no pretense is made for safeguarding it's appearance long term. Great for Poster Reproductions, home and office wall deco-displays. Substrate: Pure White 100% Cotton Canvas. The bold, 3 centimetre thick, chunky goodness of the stretcher-bar further enhances the given graphic, artwork or photograph and certainly makes a very robust mounted print. The Print is then usually coated with a gloss or stain varnish for further protection. Far more superior than your cheap (and pretty naff) 1.8cm frames that are being used by framers offering similar mounted canvas displays these days. UV Light Resistant - Fade-free Inks. Up to 108 years (apparently). 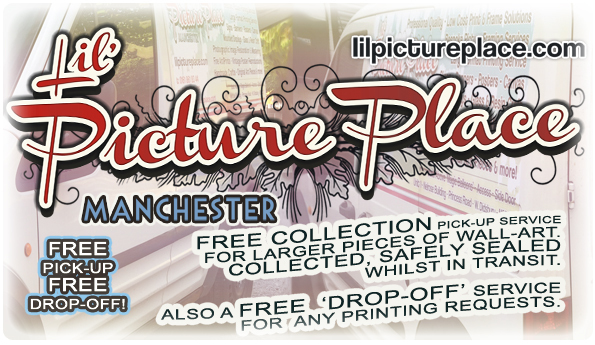 Typically, the above 20x20” Large Size Print & Box-Mount Option would cost £39.95. for the canvas mount to be smaller.